Report on Online Mobility Industry from Q1 CY’17. 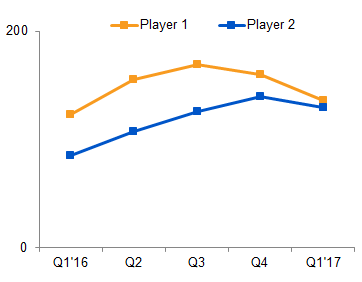 Stagnation in consumer demand is reflected in the falling MAU numbers for the two major platforms. This indicates a slowdown in addition to new users- itself an indicator of the metro markets moving towards saturation.